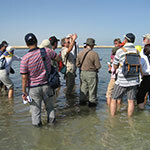 The Emirates Society of Geoscience was founded under the name of “Society of Explorationists in the Emirates” (SEE) in Dubai in 1986. 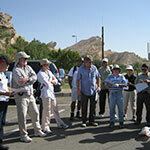 The society is an AAPG Affiliate since 1993 and has been associated with the EAGE since 2001. 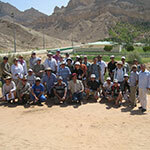 It provides a forum for geoscientists in the United Arab Emirates (UAE). The membership to ESG is open for all technical personnel working in petroleum exploration & production companies, associated service companies and government and educational institutions in the United Arab Emirates. 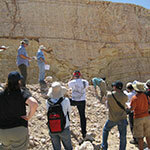 The Society holds monthly meetings and arranges for lectures related to Geoscience. 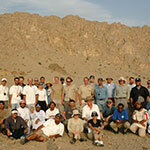 The society also organizes a number of geological field trips per year in or outside the UAE. An annual dinner is to be held at the end of each season for all members. A membership fee of Dhs. 100 is renewable every year, while it is free of charge for students. NEXT ESG SEMINAR on October 25, 7:30 pm. Sequence Stratigraphy and Reservoir Architecture of the Upper Cretaceous Mishrif Formation, Rumaila Field, Southern Iraq , by Dr. Christoph Lehmann (ADMA-OPCO / BP). Read more in the "Events" page. See you all there!